Born, raised and educated behind the Pine Curtain, Beth worked in several "big cities" long enough to realize that small-town life was really what spoke to her. Beth has 15 years of marketing and social media management experience within the scope of higher education and non-profit entities. A native of Henderson, Texas, she attended LeTourneau University where she graduated with a bachelor’s degree in Marketing. 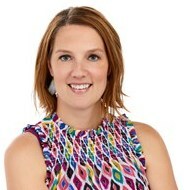 Beth is a member of the Junior League of Longview, where she is this year’s Partners Card Co-Chair. She and her husband, Andrew, have two children and spend their free time boating, fishing and enjoying Lake Cherokee.